Japanese culture is rich in tradition and lore. There are many known ghost stories that are passed down from generation to generation. Some of these stories may have been created to ensure proper curfew or to teach respect but there is always the question, how many of these tales are rooted in truth? The Japanese Shinto believe that after death a human becomes a spirit with two sides, one good and one evil. These spirits are believed to be everywhere, water, trees, mountains, and wind. Buddhists believe the way a person behaves while living would determine how they will spend the afterlife. They would either go to the “pure land” or the “Land of the dead”, similar to Hell. There are also certain prayers and rituals to ensure proper passing of a spirit due to the belief that a spirit starts out angry and confused. A Yurei or ghost is believed to haunt the place it once lived and torment the people responsible for any ill feelings it carried during its human life, such as jealousy or envy. A person must pray that the soul of the dead can ascend and be released from its suffering. Recurring themes in these legends are angry and vengeful ghosts of women who experienced cruelty while they were alive. There is a road between Tokyo and Kyoto known as the “Rocks that weep”. A woman was said to have traveled down that road to meet her husband late one night. She was attacked by thieves and murdered. Her blood spilled onto the rocks and now these rocks are believed to contain her spirit. The Buruburu is a ghost believed to inhabit graveyards, forests or any dark quiet location. The name translates to “the sound of shivering” and it will appear to you as a harmless elderly person. The spirit then attaches itself to you; this is why you feel shivers down your spine, and fills you with intense fear, sometimes resulting in heart failure. The Ikiryo is a type of spirit capable of complete human possession. This entity is said to inhabit those who carry hate and anger with them at all times. The ghost latches on and slowly begins to drain the human host of all its energy. The greater the negativity and emotional toxicity the person has, the more powerful this spirit can be. Humans are not the only ones mentioned. Fox and raccoon are often seen as inhabiting magical abilities. They can be tricksters, frightening, misleading and even positive omens at times. The Tanuki is a small furry creature believed to be able to transform into something much more frightening like a one eyed demon who uses nature (earthquakes’, lightening) to claim victims. Another popular creature is the Kitsune, a fox with shape shifting abilities. Usually these creatures shift into beautiful women who seduce and even possess men and lead them to their demise. There are even stories of inanimate objects containing ghosts. The Bakechochin is a lantern thought to contain the spirits of those who died with hatred and malice in their hearts. The lantern has some human qualities, a long tongue and wild piercing eyes. Anyone who dares to light the lantern will immediately be attacked by the spirits living inside. Many of these stories in their own bizarre way promote peaceful living. Warning us all to stay away from hate, jealousy, lust, and all the similar things viewed as evil or sinful throughout the world. The personification of emotions is a popular theme and a memorable way to teach lessons. However many of these entities and their legends are so ancient the origins have become distorted over the centuries and yet they are powerful enough to stay and invoke fear into the most modern and advanced cultures. Another old-school horror movie hit the theatres last month called The Conjuring, and it’s doing remarkably well as far as the horror genre goes; but unlike many flicks that are cookie-cutter yarns using the same tired formula, this one is- at least in part- based on a actual events involving real people and two iconic pioneers in paranormal research- Edward and Lorraine Warren. Half marketing ploy, half respectful homage, the producers of The Conjuring hype the “based on a true story” aspect, but the names Ed and Lorraine Warren have been well known long before this movie’s release to those who’ve made a career of the serious study of psychical research. They were ghost hunters before ghost hunting was cool, back when it was serious science. They were rock stars to budding scholars like myself. This isn’t the first film to be based on their work, either. Unless you were born yesterday then you’ve at least heard of, if not seen, the 1975 classic, The Amityville Horror– which led to 10 films. When Lorraine realized that she had psychic abilities and that she could go into homes where people were having problems such as those in The Conjuring, she saw an incredible chance to use it to help people, and help she did in the years since. 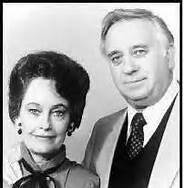 In 1952, the Warrens founded the New England Society for Psychic Research, the oldest ghost-hunting group in New England. With well over 10,000 investigations in their storied career, they have authored numerous books about the paranormal and case studies of various hauntings. Many of their books grace my office library. During the 1970s and ‘80s, the Warrens were part of some of the most prolific case studies in psychical research and leading contributors to the advancement of Electronic Voice Phenomenon techniques. Sadly, Ed stepped across the great divide seven years ago, but Lorraine is alive, well, and full of much of the same adventurous spark that made them legends in the paranormal field. She says that Ed would agree that the haunting and possession depicted in The Conjuring was one of the most extreme cases they’d ever witnessed. As far as the new film is concerned, it depicts- admittedly in typical sensationalistic Hollywood fashion, the story of the Perrons as they dealt with both benign and malicious spirits in their Rhode Island farmhouse with their five girls in 1971. Warren says that the movie does a “pretty good job” at keeping the storyline close to what really happened. “I can remember the places where it was very bad such as the dirt cellar [in the Perron home]. I can remember my husband going down the stairs and there was a professor from a university in New Haven, Connecticut who wanted to see what was happening in the home. The Perrons themselves star in some of the promotional materials of The Conjuring, which seems to add truth that the happenings were true. “Because I was the youngest and the most vulnerable, I was approached more than anyone, and I actually had a relationship with that (ghostly) boy,” April Perron says in one trailer. Many of their cases have been debated over the years, especially the Amityville case- that many say was simply made up. The president of the New England Skeptical Society, Steven Novella, doubts the story and told USA Today that “there is absolutely no reason to believe there is any legitimacy” to the Warren’s reports on the Perron case. Hey, I’ll be the first to stand up and say that a dose of honest skepticism is good. At the end of the day it’s important to keep two things in mind: The Conjuring is a movie; as such, its primary goal is to entertain and make money. Therefore, view it with a light heart. Although the events in the film are glamorized with studio special effects, they are based on actual events that are meant to inspire and encourage debate, research, and- above all else- foster an open mind about a universe that we are only beginning to understand. It seems that no matter how much I or other professional paranormal investigators lecture on the subject, some immature and amateurish yahoos out there just can’t seem to get the message- if you have to sneak in under the dark of night and uninvited then you’re not real ghost hunters and you deserve all that is coming to you under the letter of the law. Lately there have been more than a few stories that have crossed my desk about so-called ghost hunters having run-ins with local law enforcement. No. 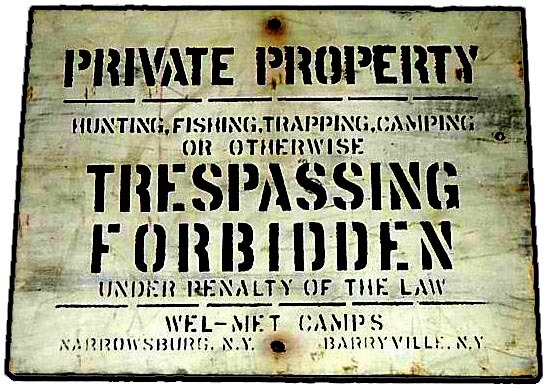 You’re trespassers and you’re breaking the law. 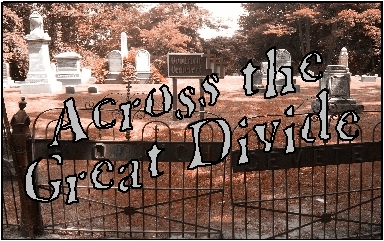 It’s not just cemeteries, which are usually owned and operated by a church or local historical society, that are putting up with this; privately-owned businesses and other historical locations are also facing an increase in unwanted visitors especially after they are featured on one of the many reality ghost hunting shows that plague cable television. The owner of an abandoned mental hospital reluctantly stated that he would have to higher security guards after the stars of SyFy’s Ghost Hunters found evidence of paranormal activity at the site. Since airing the episode local groups and teens have been flocking to the site in hopes of a cheap thrill and capturing evidence of their own. These individuals only succeed in perpetuating the mocking of paranormal research. Take for example this brief from the Bainbridge, Ohio Police Blotter. SUSPICIOUS ACTIVITY, SOUTH FRANKLIN STREET: Chagrin Falls asked Bainbridge officers to assist with checking the cemetery at 3:27 a.m. on July 22. Three Euclid women were there hunting for ghosts. No vandalism was found. The women were advised of cemetery hours and told to leave. I think they should have at the very least been gifted with citations for trespassing, which depending on local laws can include anything from a small fine up to and including jail time. The Burnside city council voted to deny public access to a popular park after several incidents where thrill seekers were making neighbors nervous and scared. Groups began centering on the area after a YouTube video posted 6 months ago supported evidence of a legendary haunting there. Under the new policy, police patrols of the area would be more frequent and anyone found in the park at night would face a $5000 fine. Permits could be issued to residents who use part of the walkway to access their homes from bus stops. Trespassing in the St. Louis-area Wildwood property, particularly in the city’s parks, has been an increasing problem based on reports from the St. Louis County Police Department. Wildwood Police Capt. Kenneth Williams said a pattern arose when residents tried to use or hide in the parks after dark; police also said some destruction of property recently occurred, prompting patrols around the park to increase after a wood carving worth $500 that was stolen from the area. This is not only scientifically unprofessional, but childish and completely unacceptable behavior from any member of society. I’d like to note that there is a very serious problem to public safety when police have to be routinely taken off of wider patrols to focus on small areas where any mature individual with common sense and decency knows not to be. Maybe when their house is being robbed, or an accident victim’s injuries might not have been so severe had an officer been closer at the time, then maybe- just maybe- they’ll finally get the hint. A new after-hours policy was established to discourage people from trespassing in parks and other areas after dark with fines for violating the ordinance being up to $1,000 or a year in jail. Professionalism doesn’t just apply to your research methods or fancy team jerseys and shiny new equipment. It extends to how you conduct yourselves on and off the field. It isn’t just a love of the paranormal, but a respect for the locations and the owners of those locations. In many cases contacting the city or church that owns the cemetery or other property and presenting your honest and objective intentions goes a long way toward garnering permission to legally access and investigate the area. From a purely investigative nature, you could always go there during the day since we know that ghosts don’t just come out at night. I also want to point out that cemeteries by design are in urban areas close to well-traveled roads and residential homes. This can seriously pollute any evidence due to a large amount of X factors. Even abandoned cemeteries in secluded and neglected locations have environmental and noise pollution levels and these factors don’t necessarily decrease just because it is nighttime. Whether ghost hunting is a hobby or a serious part of your life, it should always be conducted respectfully and professionally. If you can’t do that, then do public safety a favor- stay home and watch it on television. When one speaks about a topic which is controversial it is important to understand the concept of a paradigm, or underlying worldview. It can be thought of as a framework of beliefs which are so taken for granted that most people are not even aware they have made any assumptions. A paradigm helps us to make sense of the world around us. In terms of science, it not only determines what is true, but how truth itself is determined. There is an obvious “catch 22” to this. If one doesn’t recognize the underlying assumptions made with a paradigm, it has the potential to limit our perception of the world, what we can discover, and how we can determine that knowledge. The old paradigm, which many have held since the days of Descartes, states that the subjective and objective worlds are completely distinct, with no overlap. Subjective is “here, in the head,” and objective is “there, out in the world.” The Cartesian paradigm presupposes that there are objective ways to define and measure the fixed external world, which the followers of this paradigm would say is the only world that matters. The formal scientific study of paranormal phenomena began in 1882 with the foundation of the Society for Psychical Research in London, England. Early efforts attempted to dissociate psychical phenomena from the pop culture trend of Spiritualism and superstition, and to investigate mediums and their claims of evoking spirits or apparitions. But 100 years later most people still think that paranormal research is either a group armed with night-vision tech stumbling around buildings in the dark in search of ghosts and fame, or simply the study of any subject that is weird or bizarre (i.e. Bigfoot and UFOs/aliens). Parapsychology is, and has always been, so much more than the former, and has nothing at all to do with the latter. Paranormal research does NOT concern itself with UFOs, urban legends, vampires, witchcraft, or mythical creatures (a study known as cryptozoology). What parapsychology DOES study is the seemingly abnormal qualities of the physical universe in a scientific quest to find order and meaning in life. It is the ultimate exploration of the human condition and the discovery of all that the brain is capable of becoming; some of these concepts the legendary Carl Jung touched on with his theories of the collective unconscious and synchronicity. 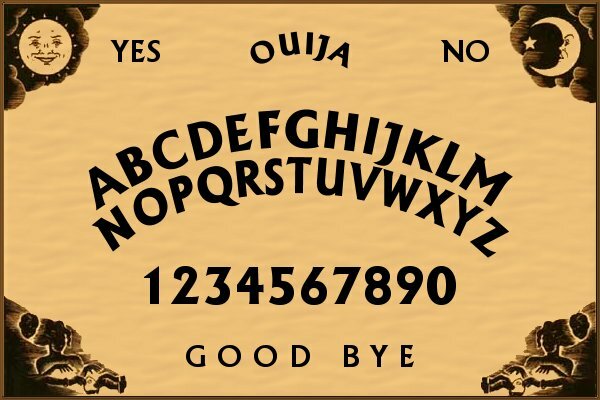 A lot of people inappropriately use it as a synonym for “paranormal investigators,” such as when referencing the cast of Ghost Hunters or Paranormal Adventures; what’s more, parapsychologists have also been linked with “psychic” entertainers, magicians, and illusionists. Some self-proclaimed “psychic practitioners” even falsely claim to be parapsychologists, going so far as to wave about bogus doctoral credentials. This is not to say that all psychics are that way. I am personally acquainted with a few very adept and talented psychics here in the Detroit area. Life, however, is rarely as glamorous as Hollywood portrays for them. At best they are ignored or written off as delusional; at worst they are harassed and fired from work. Often psychics are exploited by mainstream media for fluff pieces in October, and mocked by the same the other 11 months of the year. There are the inevitable frauds, scammers, and crooks. This is an unfortunate truth, and a few bad apples have spoiled it for everyone else. It is inexcusable that these charlatans con money out of vulnerable and naïve people. This is why no respectable group ever charges for its services. It should be noted that many parapsychologists take an empirical, data-oriented approach to psi phenomena. However, some researchers regard the current findings of parapsychology as having a wide variety of important implications about the spiritual, physical, and psychological nature of humankind. Parapsychology is fascinating because of the implications it places on society, science, and how we understand the very nature of existence. Psi phenomena suggests that what science knows about the nature of the universe is incomplete; that the accepted limitations of human potential have been underestimated; that western assumptions and philosophical beliefs about the separation of mind and body may be incorrect; and that religious assumptions about the divine nature of miracles might have been misguided. Physicists have an interest because of the proposition that we have a misunderstanding about space and time, and the transfer of energy and information. Biologists are interested because psi implies the existence of non-physical methods of sensing the world. Psychologists are interested in the theories regarding the nature of perception and memory. Philosophers are interested because psi phenomena specifically address many age-old philosophical debates concerning the role of the mind in the physical world, and the nature of the objective vs. the subjective. Theologians and the general public tend to be interested because personal psi experiences are often accompanied by feelings of profound, deep meaning. A cornerstone of the current scientific worldview is that human consciousness is nothing more than a result of the functioning of brain, body, and nervous system. No matter how different the mind may seem from solid matter, it is generated solely by electrochemical functioning and so it is absolutely dependent on it. When the brain dies, so does consciousness. From this perspective, claims of the survival of bodily death and the resulting apparitions are mere wishful thinking. Furthermore, the limits of material functioning automatically determine the limits of mental functioning, thus ESP and PK are impossible, given the establishment’s understanding of how the world works. Still, psi phenomena have occurred in all cultures throughout history, and continue to occur; and some of the reported phenomena have been convincingly verified using scientific methods. Because psi seems to transcend the assumed limits of material functioning some interpret psi as supporting the idea that there is something more to the mind than just the firing of neurons and electrochemical reactions. This “non-physical” aspect, which is not restricted by space or time, might survive bodily death. If so, there may be important truths contained in some spiritual ideas and practices. The research in parapsychology may have implications for spiritual concepts but parapsychologists are not driven by some hidden spiritual agenda. Some critics of parapsychology seem to believe that all parapsychologists have hidden religious motives, and that they are really out to prove the existence of the soul. This argument is as absurd as claiming that all chemists have a secret agenda in alchemy, and the quest to attain riches by turning lead into gold. Despite all its claims, there are just some things that mainstream science can’t explain about the universe. Parapsychology really acts as the center of scientific doctrine and theory, with lines leading to and from every branch of the other sciences. Together they form an intricate web of knowledge and understanding that is only limited by the egotistical whimsy of those who think they know all there is to know about the nature of the universe based on their blind obedience to one limited train of thought. The days are increasingly shorter, the air chills to the bone, and nature slumbers beneath a blanket of sparkling snow. This is the time of year when we gather with friends and family to talk, share life’s adventures, and relive the year’s memorable moments. If you’re like many folks, you’re also gathered around a television to enjoy classics like It’s a Wonderful Life and Dickens’ immortal A Christmas Carol. But take a step back and look at these holiday classics through the lens of a seasoned investigator and you’ll begin to see them in an entirely new light. It is, after all, a fairly spooky ghost story wrapped around the morals of giving and sharing. The Ghosts of Christmas Past, Present, and Future are similar to the phenomenon of “Anniversary Imprints,” residual hauntings resulting from an emotional, physical, or electrical discharge that “records” an event into the atmosphere of a particular location and which usually manifest around the same time each year. 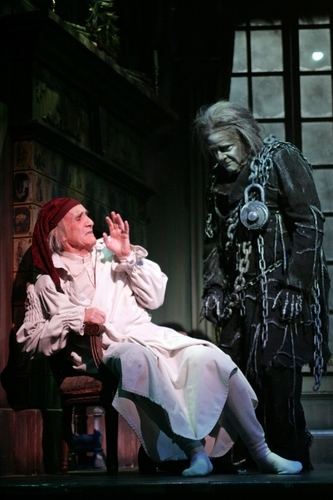 Such imprints can appear non-conscious and redundant, but since the Spirits were highly interactive with Scrooge, it appears Dickens melded different aspects of the Spiritualist philosophies which were commonplace in the London of his day. The arrival of Bob Marley on the first anniversary of his death fits the definition of a Revenant. These entities project an appearance of being distressed or misplaced; often a recently departed person who returns very briefly to make contact with loved ones to serve as an act of closure before going on to the afterlife. Perhaps the more appropriate classification for poor Marley is the Guardian, a spirit who returns to warn family members of imminent danger. These entities offer messages or aid during moments of distress to others. The Ghost of Christmas Future is clearly a Harbinger, a ghost that brings warning of impending events. Aside from the various spiritual entities throughout the story, some other cornerstones of psychical research play a large role in the adventure. For instance, Scrooge’s journeys are what we refer to as Astral Projection, or Astral Travel. Astral Travel is the theory that a person’s spiritual awareness can temporarily detach itself from the physical body, remaining connected by what is called the “silver cord,” and experience things in other locations, time frames, or dimensional planes; the spiritual body and the physical body are then able to act independently of each other. That is why Scrooge travels through time and space but must return to his bedchamber to await the next spirit- and all within a single night. But this is all, of course, fiction; so what sort of real-world personal experiences provide similar events? Here are but a few anecdotes that I will share with you. The Winter Solstice also brings with it a recurring event to residents of Lower Boscaswell (Cornwall). A lady in white holds a red rose in her mouth, then turns and walks into fog. Some say that to see her will bring misfortune. On Christmas Eve in Kempston (Bedfordshire), England, local legend tells of a child that ran out of Kempston manor to greet his parents who were returning in a horse-drawn coach. He was hit by the horses and died of his injuries. Now, the anniversary of the event is marked by the reoccurring sounds of the tragic incident. A man’s mother passed away in 1964; that same year he moved from Nova Scotia to Ontario. Christmas Eve, 1971; on the tree, one string of lights, which was supposed to flash, had stopped several days before. According to the witness it was five minutes to midnight when the fireplace suddenly went out, and the string of lights started to flash, and the other lights stopped flashing. He reported the room becoming very chilly when a figure appeared in the recliner- his mother, with a smile on her face. His wife, who had never met her, reported the same thing. It never spoke but at the stroke of midnight the fireplace lit up and the lights on the tree stopped flashing and the others started flashing again. The figure was gone and the lights on the tree never flashed again. A woman received a call from beyond one Christmas. The phone rang and upon answering it, a familiar voice casually said, “Hello there.” It was her mother’s voice, who had dies three years prior. The line had static noise and it cut in and out. Lewisham Station, London is the place of a crash in December 1957, caused by fog, that killed ninety people and injured over one hundred. Their cries can be heard on the anniversary of the accident. So as you take in the many feasts this holiday season and enjoy the company of loved ones, take a moment to reflect on those dear departed and raise a glass in their honor- they just may be celebrating along side you and your kinfolk. So, dear readers, any experiences of your own you’d like to share? **I would like to take this moment to thank you all for following along each month as I explore the paranormal. I extend to you- whatever your faith or tradition- a warm blessing for a year well-spent, and a new year well planned. Happy Holidays, best wishes, and see you on New Years Day. To most folks Michigan State University represents many things: a top-rated education, a sports Mecca, even a party school. But there’s another side of the hallowed college campus that few ever see; and of those who have, most wish they hadn’t. Michigan may be the 26th State to enter the Union, but it’s in the top 10 for the most haunted. Stroll with me as I explore the ghostly side of Michigan State University. The first stop on our tour takes us to Fairchild Auditorium, which is rumored to be haunted by a young boy wandering around the stage and seats. Some report the sound of a boy laughing and the bouncing of a ball; he is often accompanied by other unidentifiable noises coming from the stage area such as loud creaks when no one is on the stage. The stories are popular and plentiful enough that “Haunted Auditorium” fundraisers have been held in the past with tours of the building and its purported paranormal history. Next up, we have Holmes Hall, which just might have a permanent resident of unknown identity or origin on its sixth floor. Many students over the years have reported seeing a man entering the elevator, but he is never seen inside it, or anywhere else within the building. A former student sent in an email account of Yakely-Gilchrist. In the summer of 1995, well after midnight, she awoke to the sound of ‘someone’ pounding on her door. Looking out under the door she could see no one standing in front of the door, yet the pounding continued. Two security staff were called and they could hear the racket. They ran down the hall to stand in front of her door watching it rattle in its frame, with the handle ratcheting back and forth. It stopped after about five minutes. Residents of Mason hall tell tales of the Oak Room, where a figure is often seen sitting in a chair but then gone upon second glance. The campus green area by Beaumont Tower is known for images of couples in old-fashioned dress holding hands and walking slowly by on foggy mornings; and glimpses of a man in tails and a stovepipe hat on particularly dark nights. Perhaps the most talked about incidents center on Mayo Hall. 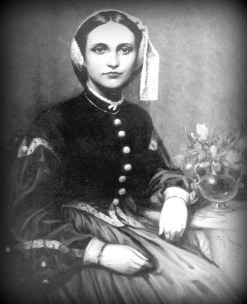 The story goes that the ghost of Mary Mayo, for whom the building is named, may wander its halls; and the building is equipped with a secret fourth floor “Red Room” reportedly once used for devil worship. Located on the college’s section known as “West Circle,” alongside other historical buildings, it is the oldest residential hall on campus and was built in 1931 as a standalone women’s dormitory. No one has ever officially died in the house, but there is some merit to the stories of satanic rituals that took place on the fourth floor, but these have no connection to Mayo herself and the floor has been locked for years. Many personal anecdotes, nevertheless, pepper the internet of alumni experiences in Mayo Hall including one from a sophomore who was told stories of various apparitions walking the halls and of the lobby piano that reportedly played itself, making her sheepish about sitting at its bench. These were supported, though, by the student who reported the incident at Yakely-Gilchrist. She recounted a similar story of how she and a small group heard the piano playing a Back minuet when no one was in the room. A resident once woke up in the middle of the night and the overhead lamp in her dorm room was on. Her roommate was asleep and the girl just assumed the other had forgotten to turn it off and went back to sleep. When they got up the next morning for class, her roommate asked if the other had gotten up during the night, to which she responded in the negative. She said that she woke up in the middle of the night and the light was on and the door was unlocked. Her roommate affirmed that she’d turned it off because she couldn’t sleep with the lights on. Whatever the truth of these reports may be, one thing is certain- Michigan State University has a rich and vibrant history. Countless individuals have walked its grounds creating more memories than there are stars in the sky. Whether in a crowded lecture hall or alone in a dark library corner, its history is shaped by each new student. Its alumni know with fondness that they are part of its history; and be it figuratively or literally, the next time a chill goes down your spine as you cram for that big exam, you just might not be as alone with your studies as you might think. If anyone has other stories from their time at Michigan State, please feel free to share them in the comments. Until then, happy hunting.